Even if you haven’t started planning for retirement, it’s never too late to start building your nest egg. One of the top benefits of a retirement plan is that the money you put in develops compound interest, which means your assets generate earnings simply for remaining in retirement accounts. That money is reinvested to increase your total savings, so every year of investing makes a real difference. Someone who sets aside a small amount of their paycheck for retirement savings early in their career may come away with more money than someone who invests a larger portion later in life. The best time to save for retirement is the present, so take advantage of compound interest as soon as possible! Traditional 401(k)s allow employees to contribute money to their retirement savings account without tax deductions. That means you can put more money into your 401(k) than you would actually earn as take home pay. Depending on your tax bracket, this factor could influence how much you decide to contribute from each paycheck towards your retirement account. A Roth 401(k) adds money to your investment after income taxes, which can be an attractive option if you’re not paying high taxes today but can expect to when you earn more in the future. When deciding between the two options, determine which tax burden is harder on your wallet — today’s or the one you can expect during retirement. Individual Retirement Accounts (IRAs) are an alternative to 401(k)s, and may be your best option if your employer does not offer a 401(k) plan. The reason 401(k)s are usually preferable is because employers often match up to a certain percentage of your contribution with a 401(k) — something that is rare when it comes to IRAs. While the two retirement savings plans are very similar, IRAs typically offer more choices and flexibility when it comes to investment options. Younger employees who have a higher risk tolerance may prefer an IRA that utilizes more aggressive investments. Additionally, IRA programs often require less of an investment to participate in, so they are a good choice for someone who is on the fence about retirement plans in general. As with 401(k)s, there are two main types of IRAs: Traditional and Roth. They work the same way, with Traditional plans being tax-free for deposits and taxed upon withdrawal during retirement and Roth deposits being taxed before deposit. Which type is correct for you depends on a multitude of factors including age, income level, tax bracket, and expected earnings. Check out our traditional IRA to Roth conversion calculator to figure out which is best for your individual situation. Just like a marathon, saving for retirement should be about reaching a specific goal. You should have a dollar amount in mind that you would like to have saved up by the time you reach retirement. This way, you can adjust your contributions as needed throughout your career in order to achieve your goal. Circumstances are always changing — raises, promotions and job changes will affect the way you invest your money for the future. Every time one of these life events occurs, it’s essential to fine-tune your retirement savings plan in a way that keeps you on track for a comfortable retirement. Your retirement goals don’t need to be set in stone. If you suddenly experience a rise or decline in income, it’s important to be realistic about the amount you can expect to receive for retirement. If your employer matches your contribution up to a certain percentage, be sure to invest at least that much of your income to get the most bang for your buck. Beyond this contribution, how much you decide to set aside for retirement rests entirely on how much you feel comfortable setting aside now to reap the benefits later in life. Whether you’re an individual who dreams of your future snowbird status or an entrepreneur looking for retirement savings plans for small business owners, we’re here to help you manage your money. 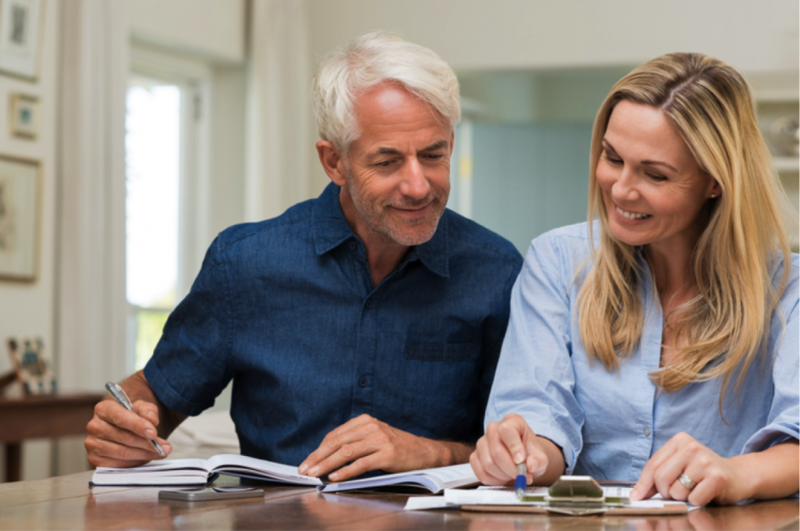 Retirement planning is just one component of our Personal CPA services and business accounting services that focus on the future. See why you don’t have to go it alone when it comes to financial security.